New Fort William caretaker boss Russell MacMorran. 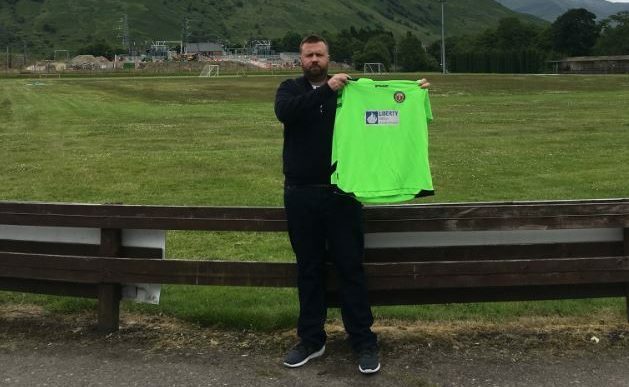 Fort William’s new caretaker manager Russell MacMorran admits he is facing a massive challenge to try to turn around the Lochaber club’s fortunes. The 42-year-old Glencoe-based police officer, who is the club’s secretary, has replaced Kris Anderson, who was sacked earlier this week. Fort are languishing at the bottom of the Highland League table on minus seven points, having been deducted nine points for fielding an ineligible player on three separate occasions. The Claggan Park men, who have drawn two and lost 21 of their 23 league games, have conceded 165 times and scored only 16 goals this season. 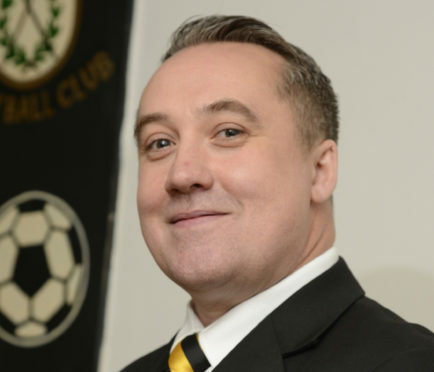 MacMorran’s association with the club started when he replaced Marie McMillan as club secretary last September. He said: “This really is a challenge for me in a number of ways but one way of looking at it is that there is only one way we can go. Things can only get better. I don’t think they can get much worse. “I’m caretaker manager until the end of the season but if somebody was to come in prior to that then I would step aside to allow them to take over. “I suppose I have until the end of the season to stake a claim for the job on a permanent basis and you never say never in football. “If I am able to turn things around on the pitch then that would be absolutely perfect. We have a great bunch of lads in the squad and I believed that sometimes they are underestimated. A lot of that is due to the pressure on their shoulders on the back of previous results. “Hopefully we will be able to turn that around. There is nothing that can’t be worked on and sometimes when a new manager comes in it can give the players a lift. MacMorran will take charge of the team for the first time when they travel to Keith on Saturday. The caretaker manager, who hails from Inverness, was quick to pay tribute to Anderson, following his departure. He added: “Fair play to Kris for what he did for the club. Kris Anderson left his role on Monday. “Unfortunately for him this is one of the lows you sometimes experience in the game, but I have no doubts whatsoever that he will bounce back. “I have nothing but respect for Kris who came in and made a difficult step-up from coaching at youth level to take over a Highland league side. “The demands on him were the same as at any other club, maybe even more so, but he is a very positive guy who stepped up to the mark when the club was at the point of folding.